It is no surprise the aquifer acts as a water source for the calcium rich water required by the fermenting process of Woodford Reserve. The sour mash is created using corn, rye and malted barley together with a portion of a prior batch called "set back" which helps to sour the next batch. Rather than steel tanks Woodford Reserve prefers to use cypress wood tanks for the fermentation process which can last up to seven days after which the mash has become around 18 proof or 9% alcohol by volume. Before maturation Woodford Reserve goes through a triple distillation process in Scottish copper pot stills where the fermented product is turned into 20% abv (40 proof) "low wine", 50-55% abv (100-110 proof) "high wine" and in the final phase of distillation into 79% abv (158 proof) spirit in the third and the last still. Naturally only new charred white oak barrels are used in the maturation process of the Woodford Reserve Bourbon but before barrelling and moving the barrels into the stone warehouse, where the Bourbon is aged, the new make Bourbon is diluted from 79% abv (158 proof) down to 55% abv (110 proof), which is the lowest entry strength of any Bourbon in the industry. Rather than selecting barrels for bottling based upon their age, the Master Distiller Chris Morris and Distillery Manager Dave Scheurich choose the barrels based upon maturity. This year the average age of the barrels heading for batching is just over seven years old. In addition to the standard Distillers Select Bourbon Whiskey, Woodford Reserve also offers a Personal Selection, which means that you can create your own batch of Bourbon from the barrels you have personally chosen. The bottle of Personal Selection I am reviewing today was created and bottled for the 2008 Father Fred Cigar Dinner, which is a charity event that helps raise money to feed and clothe the poor in Northern Michigan. The Father Fred Cigar dinner has been organised yearly since 1996 and it has raised approximately $700,000 since the first year. For the last two years the organisers of the event have auctioned off a trip for 4 attendees to the Woodford Reserve Distillery to tour the facility, sample cask strength Bourbon straight out of the rick house and of course, to perform the "personal selection." 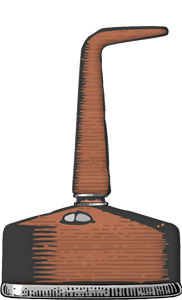 Every time someone purchases a "personal selection" the barrel head is personalized with the buyers name and hung on the wall at the distillery. On the wall you can see names like MGM Grand Casino who have done 6 personal selections, Jerry Bruckheimer who has done one and of course the Cigar Dinner who have already done 4 personal selections. The personal selection is done over 2 hours, during which you taste Bourbon from 10 different barrels and together with the help of the Master Distiller choose the 2 barrels that you want married and bottled. Woodford Reserve Distiller's Select comes in a wide and round shouldered clear glass bottle with a wooden cork stopper. The design is simple and honest and has no excessive decorations. 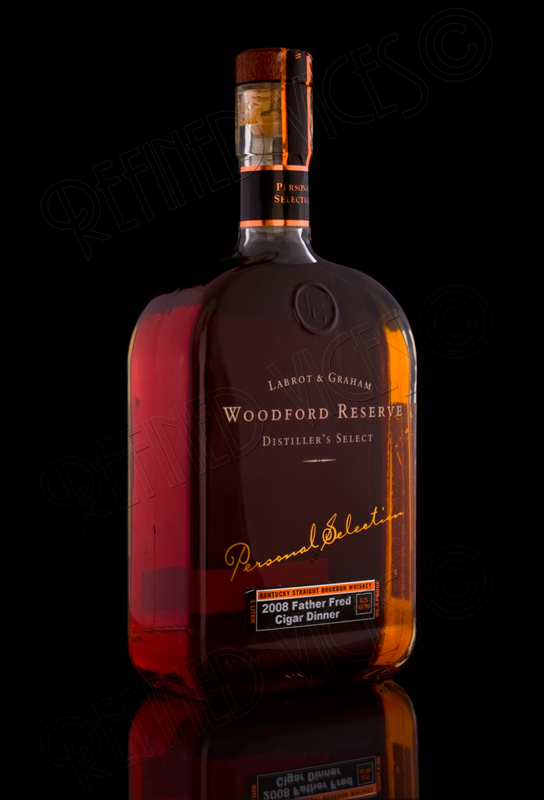 The only difference in this bottle, when compared to the standard Woodford Reserve bottle, is a golden text that says "Personal Selection" and a label describing to which of the Personal Selections this bottle belongs to. Personal Selection is a unique taste you will never be able to buy at the store, thus I am especially honoured to have received this unique 2008 Father Fred Cigar Dinner Personal Selection bottling for my sampling. Almost dark amber colour with medium bodied yet slightly runny legs. Aromas of leather, sweet bourbon vanilla and green apples waft out of the bottle nose. In the glass the nose is quite smooth and sweet with plenty of bourbon vanilla, a slight glue aroma and caramel that compliments the sweet aromas. Around the edges some pecan nuts and oak can be detected and to my great surprise, somewhere in the glass lingers a curious note of pineapple! In addition a honey aroma appears to the already complex aroma as the Bourbon breathes and warms up in the palm of my hand. A sweet introduction with a refreshingly lively sting and some lightly woody bitterness leads to a light to medium bodied mouth feel with flavours of vanilla, caramel and undertones of apples and tobacco. 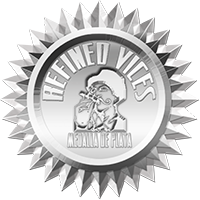 This particular Personal Selection leaves a pleasant and remarkably long and strong bourbon vanilla flavour in the mouth which very slowly fades out to give room for cereal and piquant tobacco and mint notes. Interesting and complex nose and a long smooth finish that lasts all the way until to the next sip but the actual taste does not quite live up to the expectations the nose sets. Regardless, it is a good Bourbon and my only regret is that I did not have normal Distiller's Select to compare this Woodford Reserve Personal Selection to. I look forward to the summer and seeing out how it stands out in the Mint Julep cocktail.